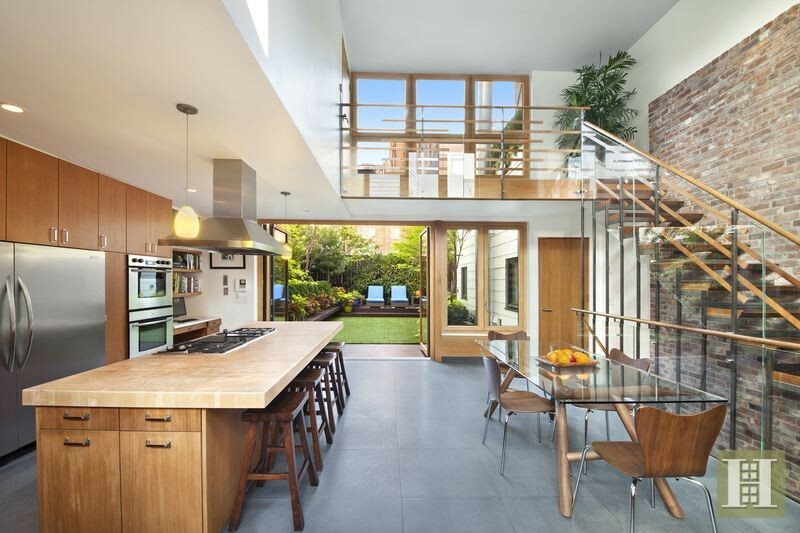 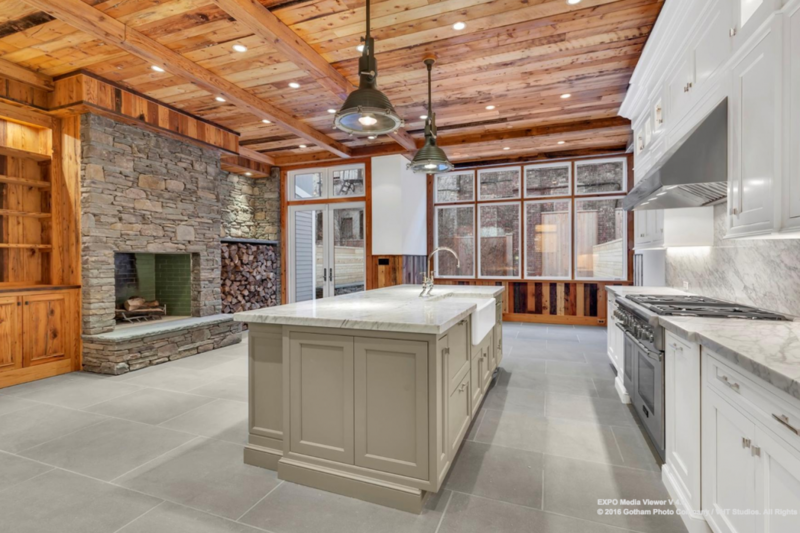 This 6,000 square foot Boerum Hill home at 323 Pacific Street (going for $11 million) includes a 700 square foot kitchen/dining room with a wall of custom millwork cabinetry facing a massive marble island with a farmhouse sink. 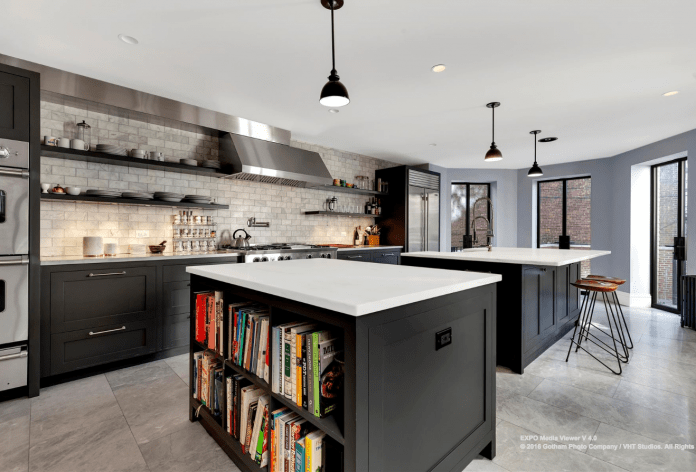 Most New York City kitchens are barely large enough to fit a suite of full-size appliances, let alone a center island, but as these homes prove, if you have space to spare, why not fill it with an expansive kitchen focal point? 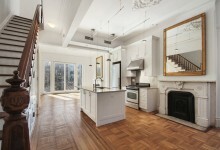 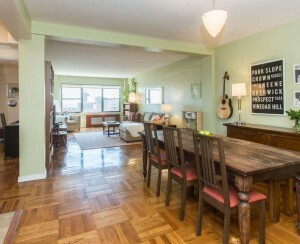 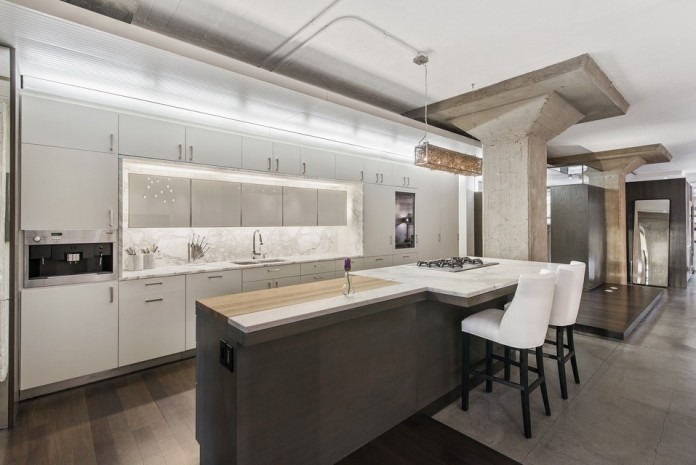 The centerpiece of this kitchen, within a three-bedroom, two-and-a-half-bath loft condo at 153 Chambers Street (on the market for $6.4 million), is the oversized center island with a butcher-block countertop. At 25 North Moore Street, a three-bedroom, two-and-a-half-bath loft (yours for $6.75 million) features an oversized island that functions as a breakfast bar and prep station, thanks to a combination counter made of butcher block and marble. 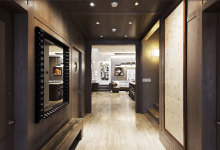 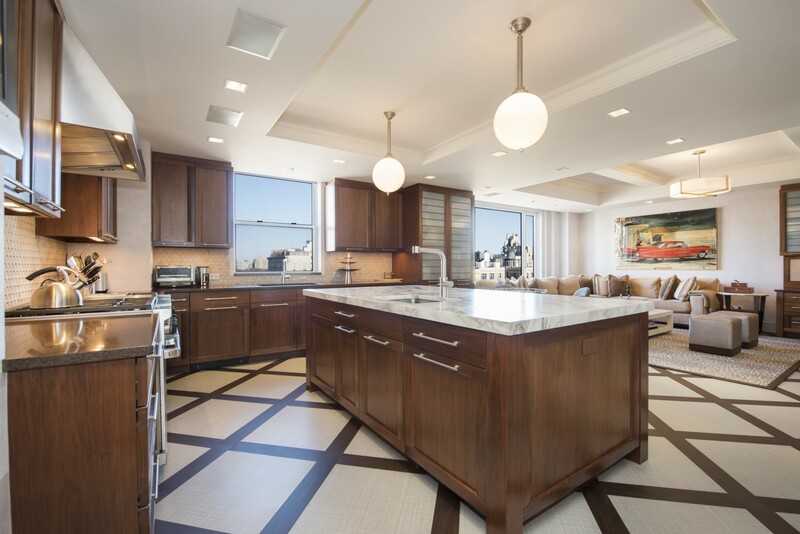 The 14th-floor penthouse at 944 Park Avenue (listed at $11.995 million) has four bedrooms, four bathrooms, and a chef’s kitchen with a double-wide Sub-Zero fridge, a six-burner Wolf stove, and a center island with marble countertops and custom cabinetry. 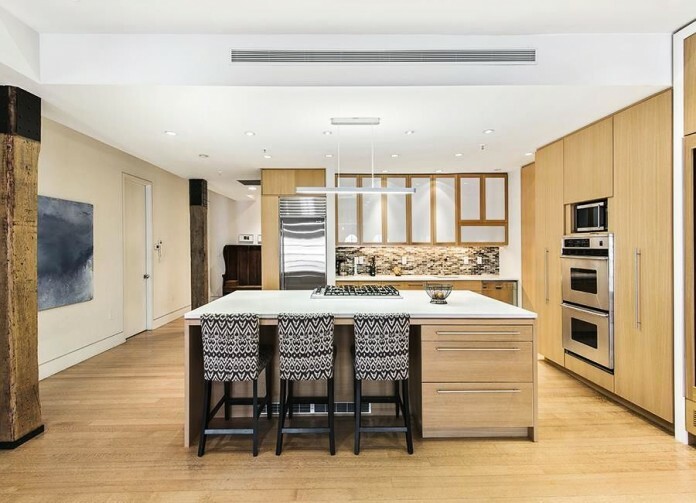 If your motto is the more the merrier, this kitchen—with not one but two islands, both with honed marble counters and custom built cabinetry—within a five-bedroom, five-bath single-family townhouse at 104 Prospect Park West (priced at $11 million) is for you. Finally, this renovated four-bedroom, three-and-a-half-bath loft at 39 Vestry Street (on the market for $5.995 million) features an open kitchen with an island that boasts Caesarstone countertops and a Viking cooktop.